Check out the latest from your Columbia alumni community. Have you been following along with The Future Is...? The mini-series, hosted by current student Shanna Crumley '18SIPA, is all about Columbia alumnae who are the leaders of today and creators of tomorrow. The latest episode features Julia Bacha '03GS, an award-winning documentary filmmaker. Listen to Bacha's story. A new Columbia Alumni Association (CAA) initiative aims to bring alumni together around one shared passion: wine. Learn more about the Columbia Alumni Winemakers Collective and get involved. Columbia Law School Professor Gillian Metzger '96LAW weighed in this week on the Supreme Court's new session. 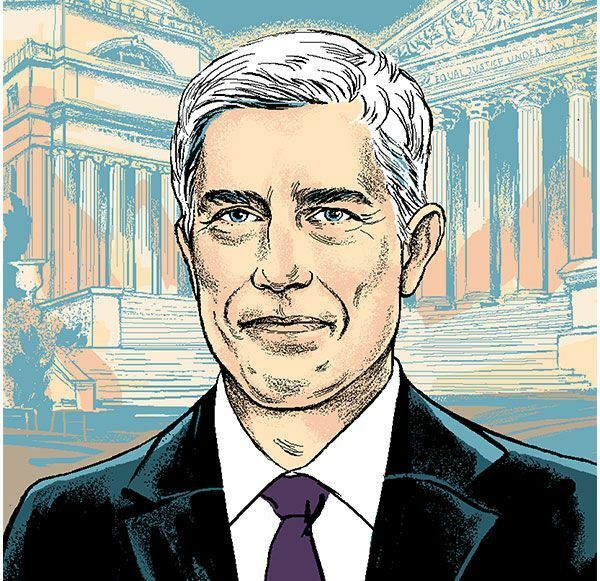 As a Columbia undergrad, Supreme Court Justice Neil Gorsuch '88CC learned how to argue his opinions. Read about his time at the University in the latest edition of Columbia Magazine. Diana Engel Gerbase '16SIPA founded Mobis, a nonprofit social venture dedicated to spreading democratic civic education to Brazilian schools. This summer, a new alumni chair of the Columbia Alumni Association board was elected. Rita Pietropinto-Kitt '93CC, '96SOA has big plans for the organization in her new role. Learn more about Pietropinto-Kitt from her interview with The Low Down this week.